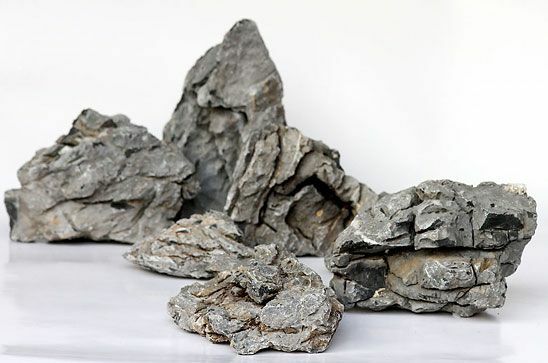 Mini Landscape Rock (also known as Seiryu Stone) is used by many aquascapers and is one of the most desirable and widely used rocks in aquascaping. 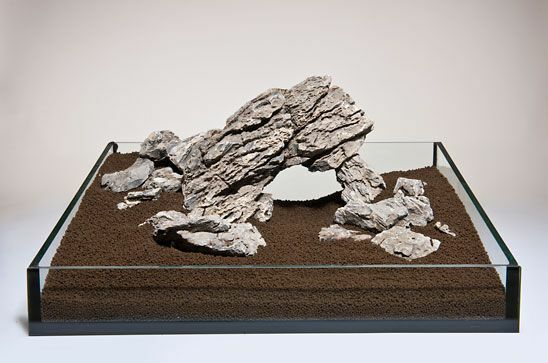 It has a very unique form with fine textures and offers the aquascaper many possibilities. Colour ranges from light to dark grey. 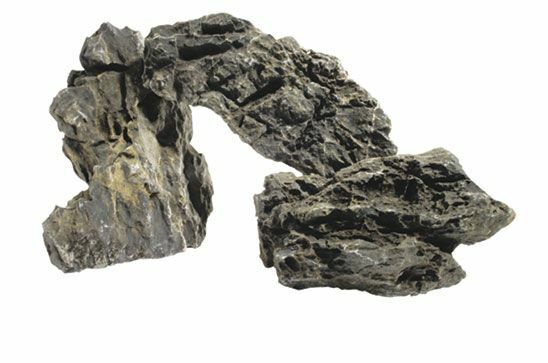 It is often used to create 'mountain' like scenes and the most popular rock used for Iwagumi style aquascaping. Also effective when combined with pieces of aquarium wood. Unique form and fine textures. Colour: Light to dark grey. Slight effect on PH and Hardness. Often used in Iwagumi aquascaping. We would suggest using 10KG per 50L. For example, for a 100L tank use 20KG. An average piece weighs approximately 2-3KG. We aim to include a range of sizes and shapes. If you have specific requirements then please let us know using the comments box at the checkout, or by using our contact form after you place your order and we will do our best to fulfill your requirements. We also welcome customers to visit us in store and choose the perfect pieces of hardscape for your aquascaping needs. Got my Seiryu stone 24 hours after I ordered it! Dave supplied a good mix of sizes. Also got my hands on some Manzanita wood for the first time. Great service and good advice. I ordered a small amount of Seiryu stone as my first purchase from Aquarium Gardens. i was completely happy with what arrived. It always feels like a bit of a lottery buying hardscape 'blind', because you never know what you'll get in terms of shape and size. The rocks I received were excellent, with varied textures and shapes. All pieces were genuinely excellent and I'll certainly be ordering again. I purchased some of tthis rock yesterday and it arrived today, well packaged as always. It is beautiful. Like the other reviewer, I was sceptical whether to purchase online, as I'd never seen it before. But I'm glad I did because it is stunning. It looks really great in my tank too along with some driftwood and a bunch of plants. In the ten years that I've been in the hobby, my tank has never looked so great. I'm super happy.